Not bad at all for just the one night. And the price was really right. Micky asked me to play in the morning Swiss, which means I need to be in Santa Clara at 9 am. Given Friday traffic, I’d need to leave the house by 7:30, maybe 7:15, to get there in time. That means getting up by 6:30. Not gonna happen. But the Marriott hotel is not only sold out, it would cost an arm and a leg even if I could get in, and that extra 90 minutes of sleep is worth a lot to me, but not $150. Fortunately, there is Priceline to the rescue. Hotels in the Milpitas/Santa Clara area were listed from $79 to $329 a night for Thursday, so I went to the “name your own price” section. You pick an area and a quality of hotel, name a price and put in your credit card info. If there is a hotel willing to take the offer, the deal is sealed and then you find out the name of where you are staying. If nobody is willing to take you at your bid price, sometimes they will tell you how much it will take, sometimes you have to just increase the price and keep trying–but you can only bid once a day unless you add more area or lower the quality of the place you want. In this case, I bid $39 for a 3-star quality hotel in the Milpitas area, and Priceline said I would have to bid at least $52 to get a room. That worked, and I got a room at the Beverly Heritage Hotel, just off the Montague Expressway, for a total of $66 with all the taxes and fees. As you can see above, it’s a decent place, clean and modern and with free internet. I asked when I checked in what a room would cost if for someone just walking in off the street, and they said their best rate tonight is $189. Not a bad deal at all, I think. 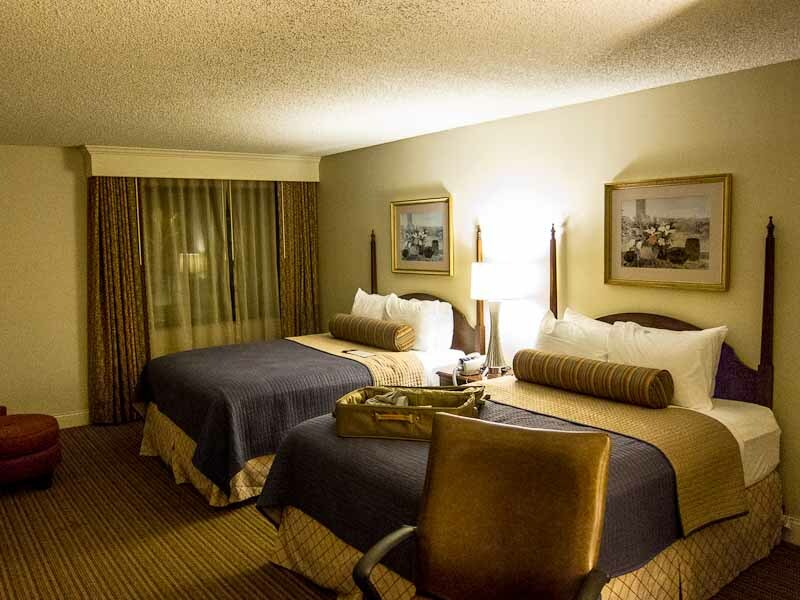 Priceline isn’t perfect–for the San Diego NABC I had a hotel supposedly “downtown” which was 2.5 miles away. But if you can live with a little uncertainty and the occasional clinker, it’s a great deal. Priceline was perfect–for the San Diego NABC! I got the Westgate, my absolute favorite 4* hotel ever, for only $70 per night. It was 0.7 miles from the site and that was the perfect distance at that climate, giving us a chance to walk a bit to wake up in the morning and settle down at night. The San Diego NABC is my all time favorite priceline experience ever.